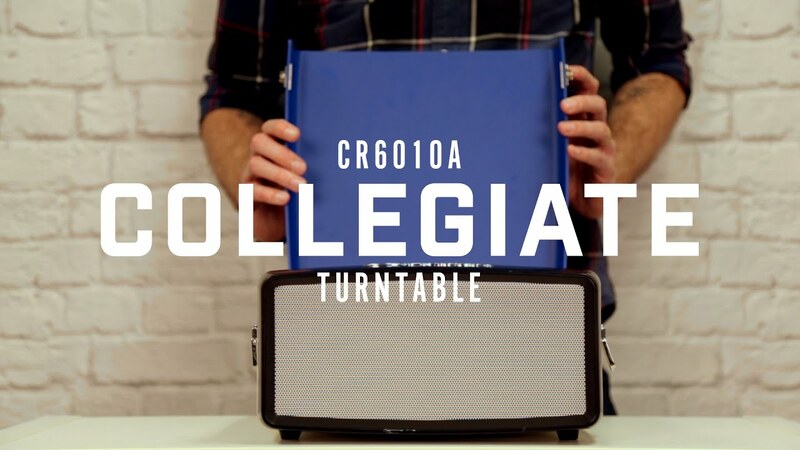 Go on a musical joyride with the Collegiate vintage inspired turntable. Not just a pretty hotrod, this three-speed turntable can be hotwired to a computer with a USB connection to make analog music digital. The built-in front speaker is designed to look like the grill of a sports car, making this turntable hot under the hood.